Looking at the highlights and key functions of this powerful portion of Microsoft Dynamics 365 Business Central can be more beneficial than racing through a high-speed demo. Microsoft’s manufacturing offerings are highly prosperous, so it is important to learn more about the key elements that make up this suite to help assess what features and what you need that will serve your brand the best. These features make this suite helpful and can be applied to the rest of your business and assist with operations; the interface, dashboard, and tools can assist in powering your operational needs. With easy access to information on your computer, your phone or a tablet, this adaptive application can allow for access anywhere. In Dynamics 365 Business Central, there are inventory items, materials, production orders and more all easily trackable and accessible. Inventory Items: The actual things you make that are added to your inventory as finished goods. Before these are complete, you’ll need to have your raw materials, component parts, sub-assemblies and more. Dynamics 365 Business Central can easily track these sub-items and ensure you have what you need when you need it; this in turn dramatically increases your efficiency and productivity, since no one is waiting around for materials to arrive. Material Requirements Planning (MRP): By making tracking bills of materials (BOMs) easy and automatically generating order suggestions based on demand and sales, you’ll be able to see what should be ordered at a glance. You won’t have to worry about ending up with too much of one item and not enough of another. 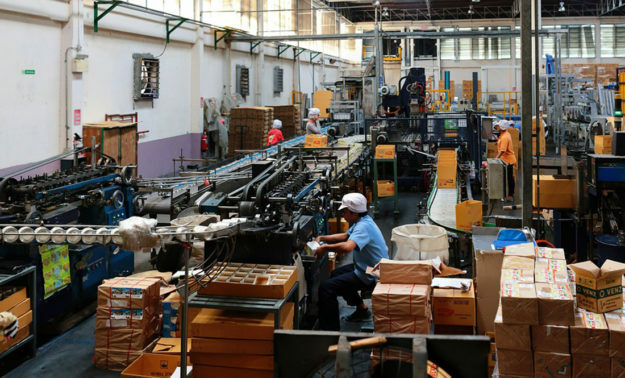 Demand and Capacity Planning: Depending on your turn time, you’ll be able to implement production based on strategic planning; both capacity planning (for longer turn times) and demand planning are fully supported and can significantly streamline your workflow. Scheduling: Dynamics 365 Business Central dramatically simplifies the scheduling process and takes much of the last-minute changes and problems out of the equation entirely. One of the most stressful parts of the manufacturing is the scheduling process; prioritize incorrectly, schedule using incomplete data or even make a supply error and your entire schedule will be impacted. Capacity Measurement: You’ve got the supply thing handled, but can you take on that next order? Tracking capacity alongside materials and projects ensures you don’t overbook or oversell – or lets you know you need to add to your facility, materials and team. Versatility and Adaptability: You’ve got the perfect plan in place – and then your sales team scores big. What happens when that huge order hits? Even smaller, more subtle changes can have a significant impact on your output. 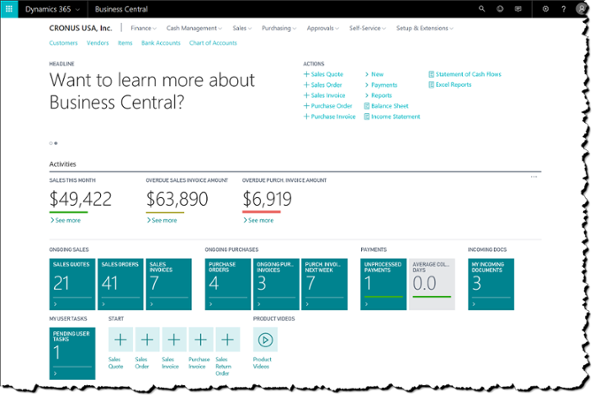 Dynamics 365 Business Central planning ensures you can run a plan, adapt and change things in real time, as often as you need to. Get instant access to everything you need, including everything for manufacturing, from your work orders and productions plans to raw materials tracking, and your schedule. Dynamics 365 Business Central makes such a large difference to track your project from the traditional use of pencil and paper or even Excel, making your workflow and process even easier. Want to see it live in action? Watch our recent webinar recording. The best way to see what this innovative suite of manufacturing tools can do for you is to try it. We’ll be able to highlight the features that will add the value to your organization and processes. Contact us today at [email protected] to learn more and see the power of Microsoft Dynamics 365 Business Central for yourself.